Mac has had Spotlight as a feature for over 10 years. Even though so many fads and interfaces have changed in that time, Spotlight is still widely loved by Mac users. While Spotlight started as a mere tool that let you search your files, it has now become a more complex and advanced asset to users everywhere. It can search for online results and understand complex searches with ease, just as a few examples. 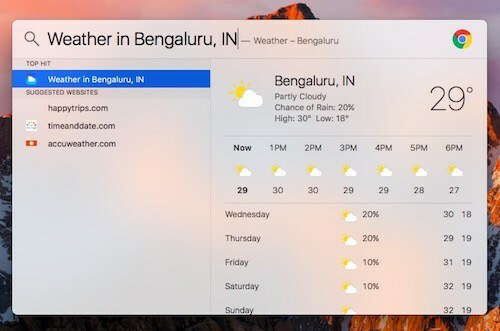 However, with Apple constantly adding new features to Spotlight and the many new changes over the years, you might not be using it to its full potential. This article will show you the many ways you can use Spotlight on your Mac device, although some do work for iOS devices as well. Try them out and see how it goes! As with many other types of search engines available online, you can specify the type of item you are looking for when inputting your search. It’s easy to limit your search down when using Spotlight: just add “kind: item-type” after you have typed in your search. “item-type” is where you input file extensions, like JPEG, or Apple apps, like reminders and email. You could type in “Christmas kind: JPEG” to see any pictures you have that are labeled Christmas on your computer for example. There are even different ways to limit the places Spotlight searches further. For instance, if you only wanted to take a look through your email application, you can begin your search with a date inputted to search for emails received after that date. You would type in “date: DD/MM/YY kind: email” in this case. 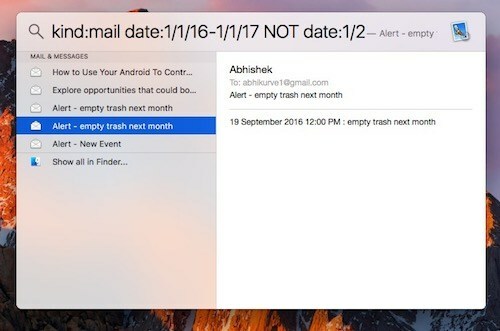 So, typing “date: 31/10/2017 kind: email” would prompt Spotlight to search for emails after that date. There’s even options to search for items created or modified on a certain date and symbols to include in order to narrow down your searches. “created: DD/MM/YY” shows files created on that date while “modified: DD/MM/YY” will show files modified on that date. Using “<” in front of a date will show files before that day, “>” will show files after that date, and “=” will show files on that date. This really comes in handy if you are searching for something you can’t remember the name of but know the general time you made it and what application it was in. 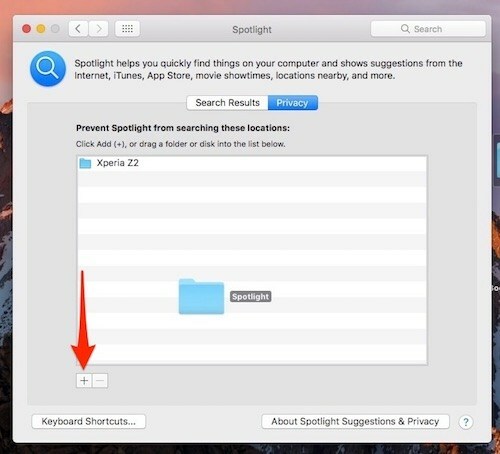 You might not use this trick daily, but it’s good to know if you use Spotlight often. Also note that the way the date is written to narrow down your search will vary by the region you are in. So check what your computer displays or what your particular area uses for date displays. Boolean operators like “AND”, “OR”, “NOT”, or “AND NOT” can be used to create more complex searches. Boolean operators are usually added onto the end of your search query and can be combined with other operators. Say you are trying to narrow down the images you are searching through. Maybe you don’t remember if this specific image was in a JPEG or PSD format, for instance, but you remembered the date you uploaded it to your computer. Typing in “date:= 25/12/2015 JPEG OR PSD” would bring up any JPEG or PSD files created on this date so you can easily find the right image. While knowing how to use various search operators in order to narrow down your searches for specific items is great to know, keep in mind that Spotlight has more functions than just sifting through your indexed files. Most of these instant answers should also work on Spotlight search with your iOS devices also. This isn’t the extensive list of search queries you can make to get instant answers, but the ones listed are great ones to start off with. You can look up more or try inputting some of your own and see what happens! Keep in mind that any searches that will require Internet – like looking up a team schedule – mean your computer needs Wi-Fi. 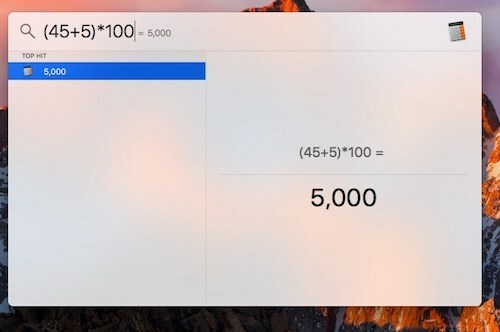 Other searches options, like using Spotlight as a calculator, don’t need Internet connections to work. If Spotlight suggestions aren’t working on your device, go over to the Apple website and select Apple support to see if this is an available option in your country. Alright, so maybe the search and Boolean operators are too technical for some to remember to use. 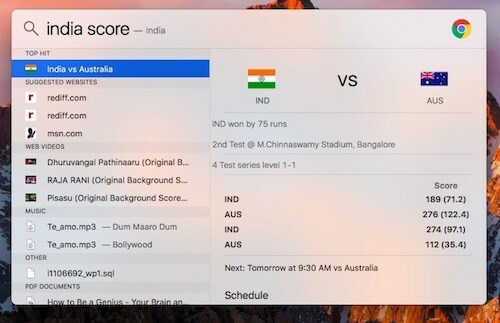 If you would rather just input your search more naturally, Mac OS systems after 10.11 El Capitan let you make searches using natural language. 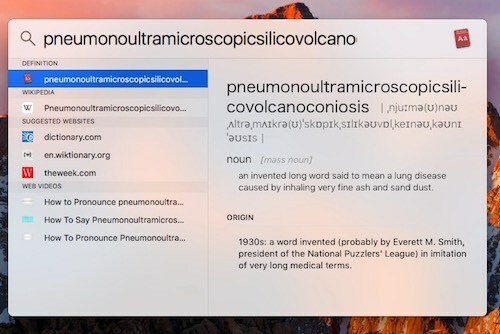 This more or less means that you can word your search in Spotlight the same way you would if you were talking to another person. 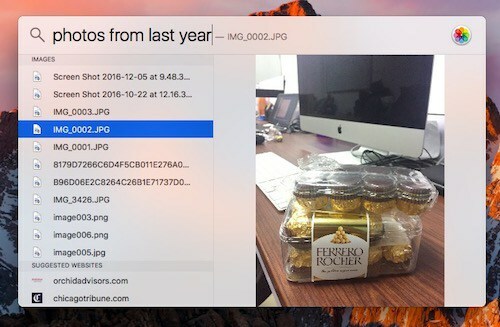 For example, instead of putting in the exact date and use the search operators, you can just put in “photos from last year” to search for photos from last year. This is much more simple to use in many cases! With the natural language search, you don’t need any special or specific words included in your inquiry. It does limit you somewhat and give you a large selection of files to look through most of the time, but it’s a good addition to the software. Because it’s natural language, try inputting different types of combinations of words to search for files on your computer. Try it out and see what comes up for you. We know that there are so many different and crazy types of emojis available for you to use, but when do you ever get the chance to even use half of them? Now you have the perfect opportunity to use at least some of them! 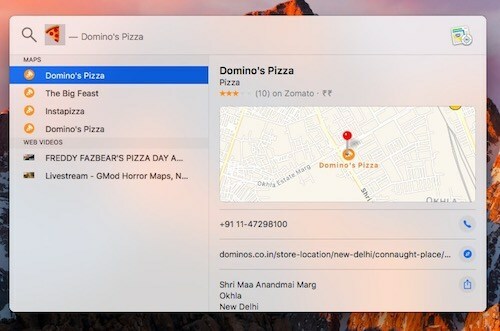 For example, typing in a pizza emoji into Spotlight search will list all of the nearby pizza places. Even a beer emoji will least all of the bars and restaurants that serve beer in your area. For those of you who are curious, this works by having each emoji listed with a descriptive name that you can check by going to the Character Viewer. You can access it by using Control+CMD+Space bar. It uses this data in order to interpret the emoji. This means that you can use many types of emojis with your search. Try all sorts of emojis with your search and see what comes up! There are many different emojis for you to try and see what comes up in your search results. 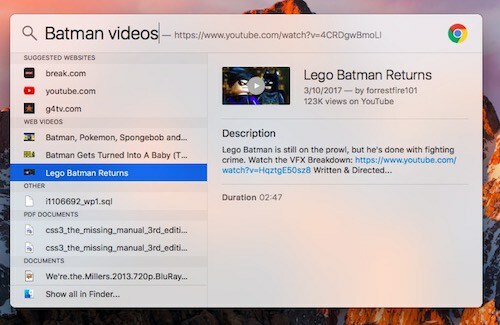 Using Spotlight is a quick and easy way to open up the apps installed on your Mac without having to manually search for them. Sometimes, though, it can be difficult to bother to type in the entire name of an app, especially when the app has a very long name in it. Thankfully, Apple accounted for this and lets you type in initials instead! If an app has multiple names in the title of it, you just type in the initial of each work in the app name and Spotlight still brings up the app. 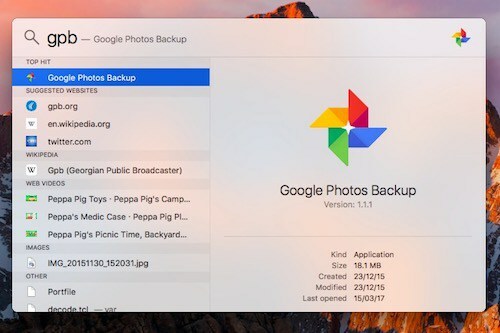 For instance, you can type in “GPB” to bring up “Google Photos Backup” instead of spending time typing in the whole name. It saves a little bit of time and effort, or a lot of time if the name is very long. After many years, Apple has finally added on the ability to Spotlight window in El Capitan. In order to resize the window, you should simply drag the cursor from the lower edge of the Spotlight window. The catch is that you can’t make it any smaller than the default size. But you can change the height and position of it on the screen. 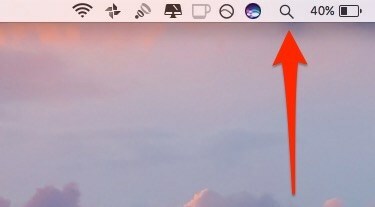 To reset Spotlight to its original position, you just click and hold onto the Spotlight option – the magnifying glass icon – in the menu bar. Spotlight shows suggestions from many different local and online sources. This is great when it comes to searching for different information from many different places, but sometimes you only want to find information from one type of source. 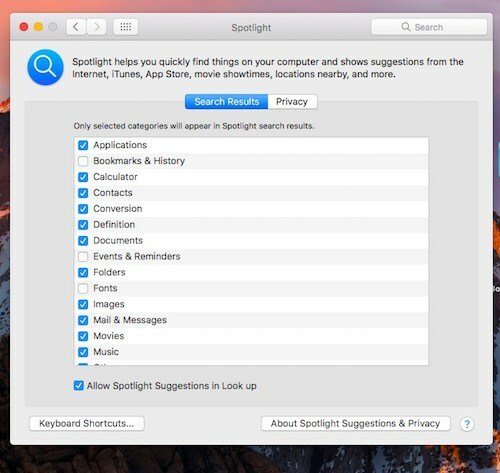 To do this in Spotlight, you type in “SP” to open the System Preferences and select “Spotlight.” Here you’ll see a list of different categories Spotlight will look for. Once you see this list, you can uncheck boxes next to the categories you don’t want Spotlight to search in. In earlier versions of Mac, you were able to prioritize the categories you wanted Spotlight to search in first. Spotlight indexes most of your internal HDD/SSD drives, including your external hard drives. It may occasionally index other temporary files in your system, which can lead to skewed search results and slow down the speed of the search. Going to “System Preferences” and choosing “Spotlight” is where you go to fix this problem. Under the “Privacy” tab, you can select the “+” button to add any folder or external drive to what Spotlight will not search for. You can also drag and drop the folders straight into the window. If you want Spotlight to be able to search for them again in the future, select the folder from the list and click on the “-” button. The Spotlight will re-index that folder so files and items from that folder will show up in your search results. So, there you have it! This was a list of some of the main Spotlight tricks you might want to try out on you Mac at home so you can use it to its full abilities. Knowing how to search with Spotlight efficiently and effectively will definitely be able to help you while you are looking for particular files or doing certain searches. Of course, our list doesn’t fully flesh out some of the tips we gave so you had some options to explore. There are also some tips you could use that weren’t included on this list as they aren’t as commonly used or wouldn’t be as commonly useful. What did you think about the tricks we gave you? Have you tried any on your own? Did you even know about some of these tricks? Let us know down below, and let us know what types of things you managed to search for with these tricks!